Soon I'm doing a 5-day bone broth fast. After you read this post, go here to read how my 5-day fast went and find out the BEST part! Also lots of Q&A's are there too. My sister and I (and many of you too) have been listening to the Skinny on Fat talks, and while I've heard some of the info before, but definitely not all, hearing it again has totally given me a wake-up call and motivated us both to step up our game when it comes to our health. There's so much good info in those talks you guys, be sure to listen if you can, you won't be sorry. Enter your email here and they'll contact you when the free Skinny on Fats replay is back up soon! I already knew that healthy fat was good (yes I'm talking about saturated fats: butter, lard, tallow, ghee, coconut oil, bacon fat, and other healthy fats too: avocado oil, olive oil), but it's wonderfully refreshing to hear so many others finally singing the praises of healthy fats too, and explaining the science behind it so clearly. PLUS now my sister is finally on board — especially since she began increasing her daily fat intake and her joint pain is completely gone! 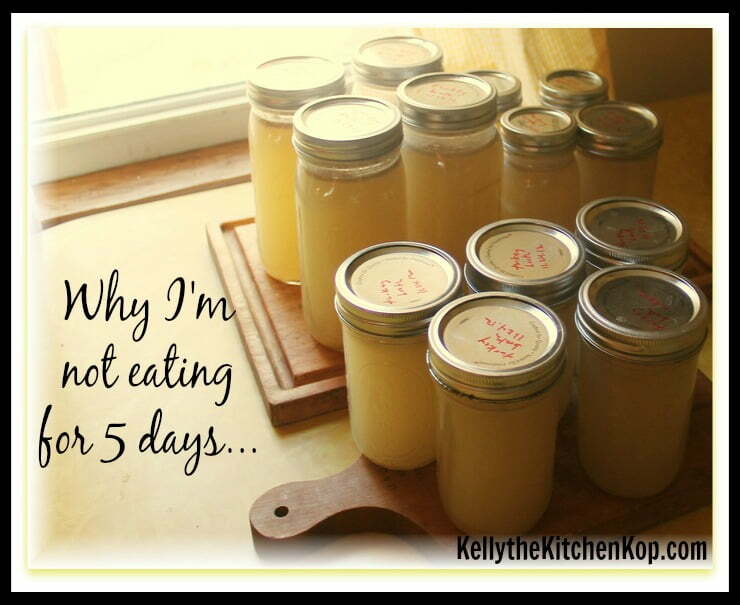 So I'm doing a 5-day bone broth fast along with Kent and my sister, maybe you'll join us? *It may not be for everyone, so use common sense and maybe even check with your doctor, because obviously, I'm not a doctor. Bone broth and water only — lots of one or the other though to prevent dehydration. I may add in black coffee but plan to try without first. Here's how to make bone broth — that post has super easy instructions with 3 options for how to make it. Or buy it here if you don't want to make it. So my sister is doing it to lose more weight and hopefully get off her diabetes drug Metformin once and for all. To decrease diabetes risk (My Mom had it and ALL of my siblings have it). For a cellular “reset”, which apparently can decrease cancer risk drastically along with other chronic diseases. And yes, a little autophagy (fat burning) would be nice. Also to deepen my prayer life as I offer up these tiny sacrifices. I already do intermittent fasting for 24 hours at least once a week (only eat supper), and the other days I mostly do 16-18 hour fasts (no breakfast). However I may add in this longer 5-day bone broth fast either quarterly or at least yearly to get the results of the more extended fast. (The last time I did a longer fast, 3 days that time, was about a year ago.) For meals I'm still trying to eat more keto-ish/low-carb foods, with plentiful healthy fats, pastured meats, organic veggies, and limited carbs — my lifestyle is just too sedentary, because I'm on the computer so much, to eat how I did before menopause. But it's definitely not strict — at times I'll have a piece of sourdough bread or some Einkorn pasta, so then it becomes more about portion sizes. (I always have it with plenty of butter though, which slows down the insulin response.) I completely fall off the whole thing now and then too, for instance when our daughter is making her homemade Einkorn pasta or when Kasey is baking AGAIN! Other times it's because of this Danish bread! I love my keto wine so no matter what, I know I can have that without any guilt, and it's so good! Read more about it here (no more headaches after this wine either). I'm not one to do super intense workouts, but I still plan to get my walks in as usual during the 5-day bone broth fast. For those who DO exercise hard, apparently you can still do that as long as you're drinking enough water. If that's you though, please consult someone else who is more knowledgeable than I am about that before beginning. 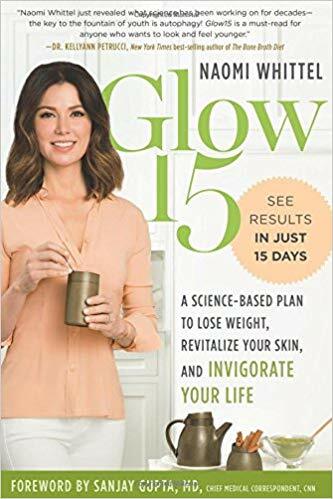 Here's the book by the host of the Skinny on Fat series: Glow15 — I'm assuming more of the info from the talks is in here too. Again: Nourishing bone broth for rookies — how to make it, it's so easy! Or if you just want to buy it, here's the kind I love. Don't forget to sign in so you know when the Skinny on Fat is live again! And again, bookmark this Facebook page so you can chat with us about how it's going! 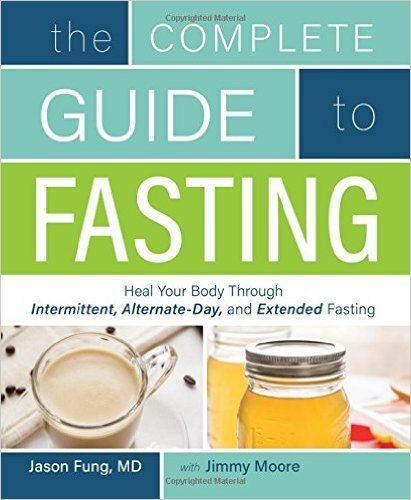 Another good article on fasting benefits. One little correction to your wonderful article. 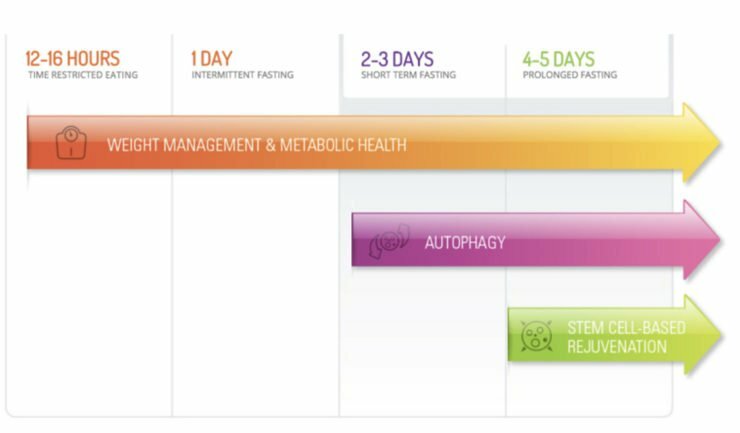 I believe autophagy refers to the dissembling and recycling of old and damaged cell components, not fat burning.